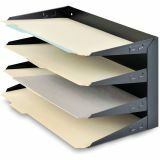 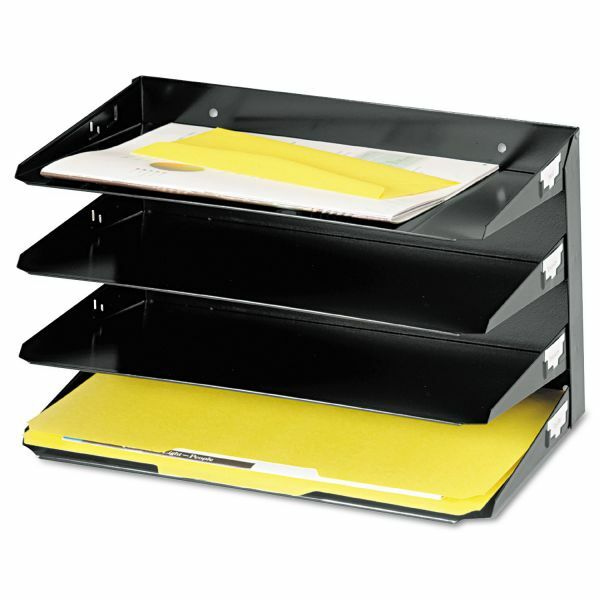 SteelMaster Steelmaster Multi-Tier Horizontal Legal Organizers, Four Tier, Steel, Black - Horizontal organizer offers a variety of levels for use on desk or mounted on wall. 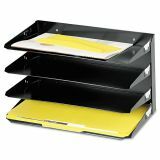 Features rolled edges and label holders on both sides of tray. 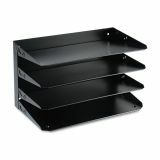 Tray is made of 30 percent post-consumer recycled steel.